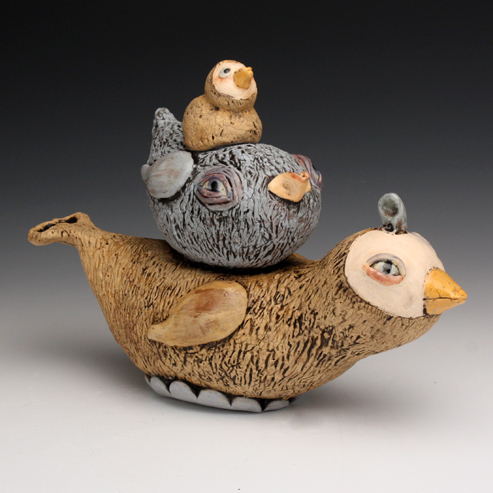 Ceramic Artist, Educator, and Administrator Tammy Marinuzzi is our Featured Artist for the March/April Exhibit. She has been collecting secrets from around the country for over a year, selecting private confessions from myriad minds. Her jars parallel her concept. We perceive them based on their exteriors and can only know what lies within once we choose to invest in them. In the same way we invest in those within our private circles. The layers and depths of a person only come to be known in this way. Inside of each one of Marinuzzi’s jars she will place a collected secret. Do you want to know what it is?